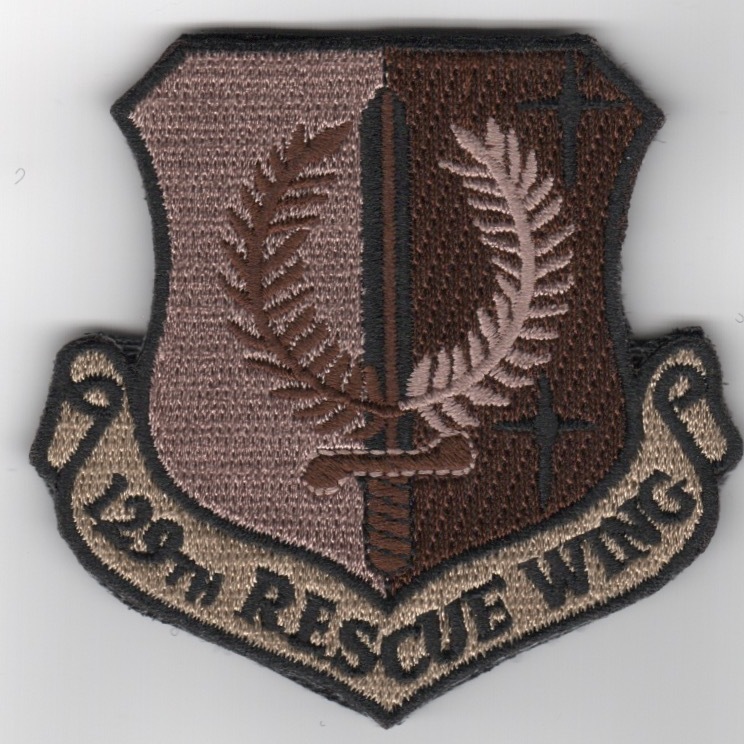 This is the shield version of the squadron patch for the 129th Rescue Squadron that flew the Jolly Green helo out of NAS Moffett Field, CA. 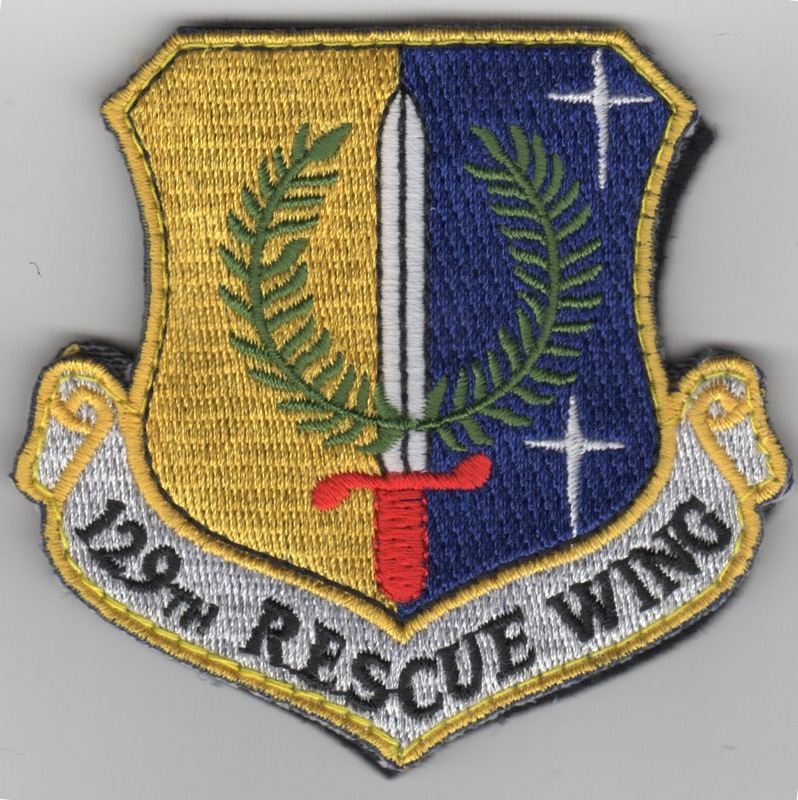 This is the color version of the crest patch for the 129th Rescue Squadron that flew the Jolly Green helo out of NAS Moffett Field, CA. This is the color version of the wing gaggle patch for the 347th Rescue Wing located at Moody AFB, GA. This patch depicts the Rescue Squadrons located there. Remember, the helo that crashed in Afghanistan killing 6 was from the 41st. Our condolences, prayers, and grattitude to all affected. Don't order right now, I'm out of them, but have more inbound. This is the white version of the wing crest patch for the 347th Rescue Wing located at Moody AFB, GA. This patch states "Born in Battle", a tribute to the job they do and how they do it. 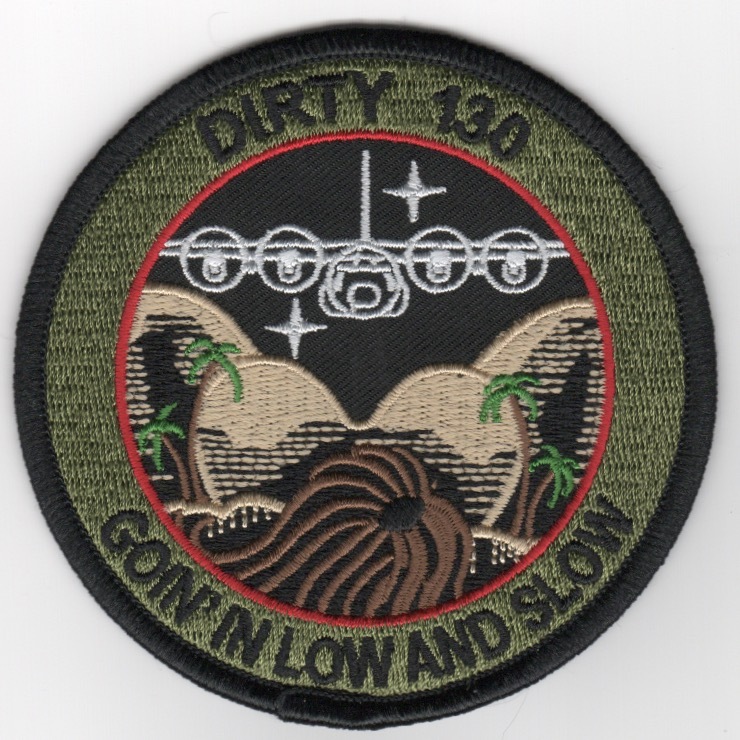 This is the desert version of the squadron patch for the 4411th Rescue Squadron patch. They fly the HC-130 out of Moody AFB, GA and are no longer active. This is the color version of the squadron crest patch for the 4412th Rescue Squadron patch that was created specifically for Kuwait. This unit is no longer active. This is the desert version of the squadron crest patch for the 4412th Rescue Squadron patch that was created specifically for Kuwait. This unit is no longer active. This is the small squadron patch for the 4460th Helicopter squadron that performed range support for the Nellis gunnery range as well as support for the Mercury test site. It was located in Indian Springs, NV. The squadron was de-activated in �88. This is the small, subdued version of the 'C-130' resuce aircraft used in the desert operations. It says 'GOING IN LOW AND SLOW' (along the bottom) and does not come with velcro. Only have a few of these.